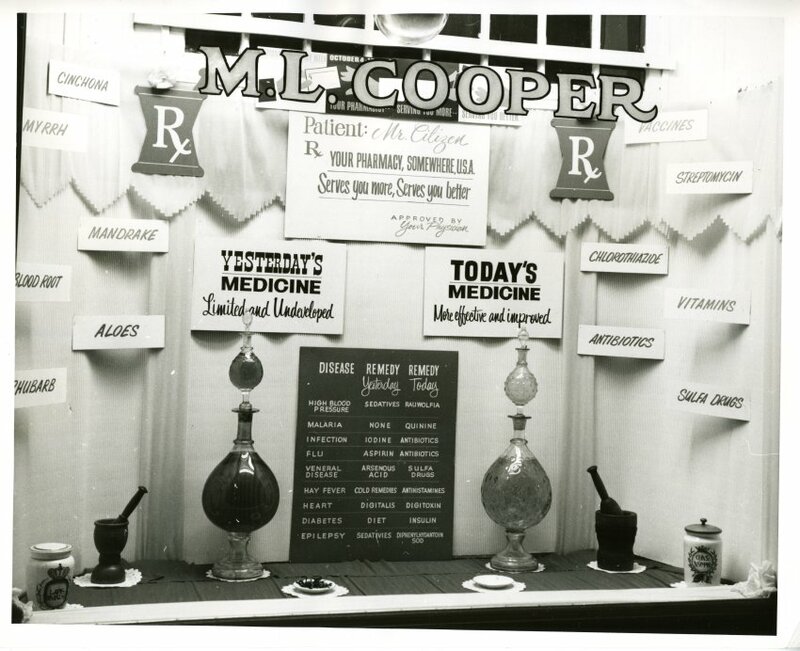 In this window of M. L. Cooper Pharmacy, medical remedies of the past and present were compared. 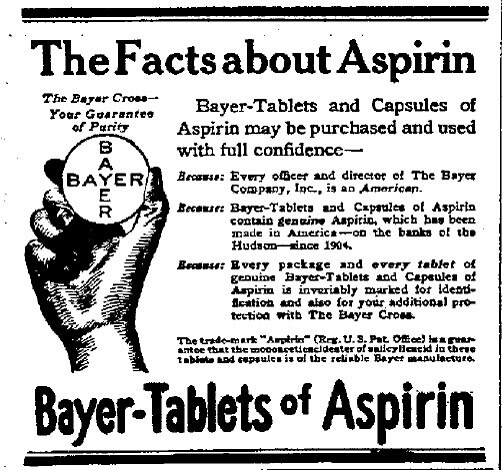 Did you know that people used to treat the influenza virus with aspirin? It wasn’t until 1963 that research began to show that taking aspirin while coping with a viral disease could actually be harmful. Adding aspirin to a viral disease could ultimately result in Reye Syndrome, a rare but serious illness that affects the brain and liver.